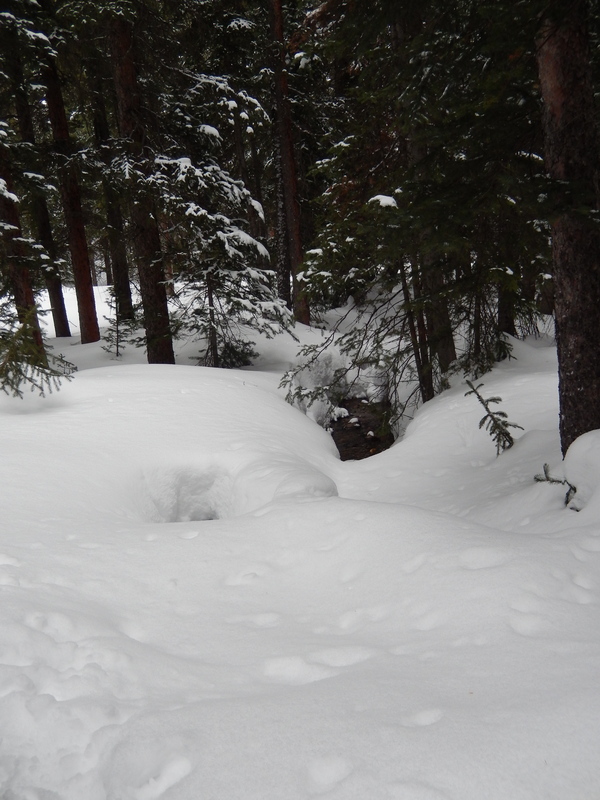 Our first hike with our nieces was a disappointing cancel for 2 reasons, first when we pulled into the trailhead parking lot we literally couldn’t see more than 2 feet in front of us the snow was so heavy. 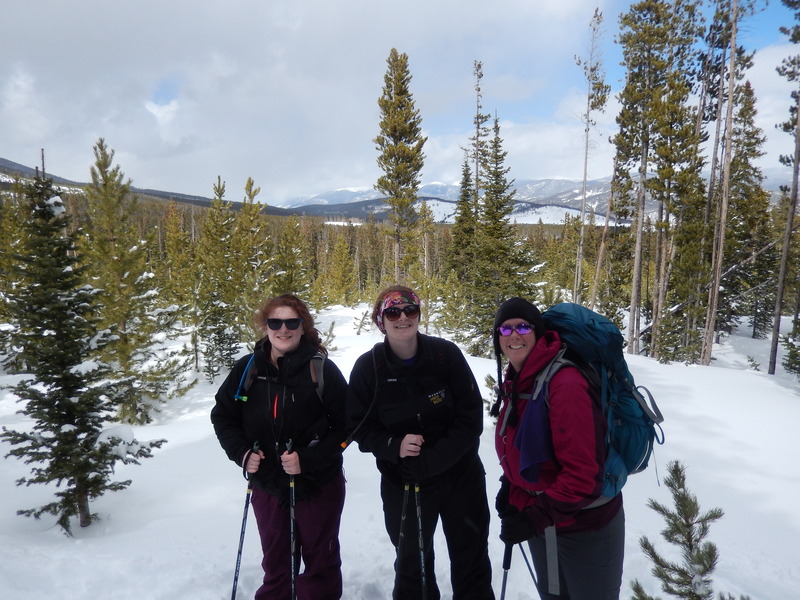 I have to admit I didn’t want to try the hike with the weather the way it was but my nieces were still game… they ROCK! Then when we were getting our shoes on I realized I had left mine at home in the garage, yep I forgot them sitting all nice and warm on the tool table. 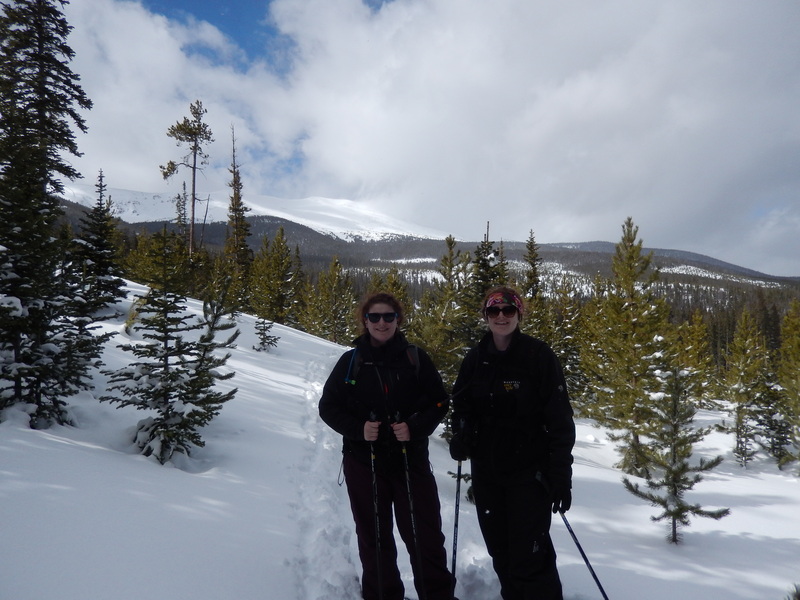 Needless to say we decided the weather was too bad to hike and just drove straight on to Breckenridge. 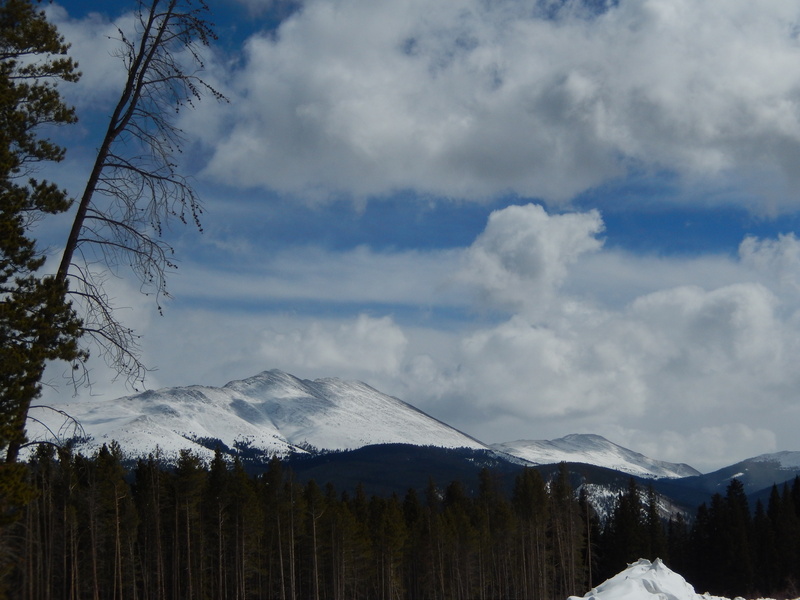 It turned out to be divine intervention because as we pulled back onto I70 the weather cleared just long enough to get to Breckenridge, where I could pick up new hiking boots, before the next wave hit. 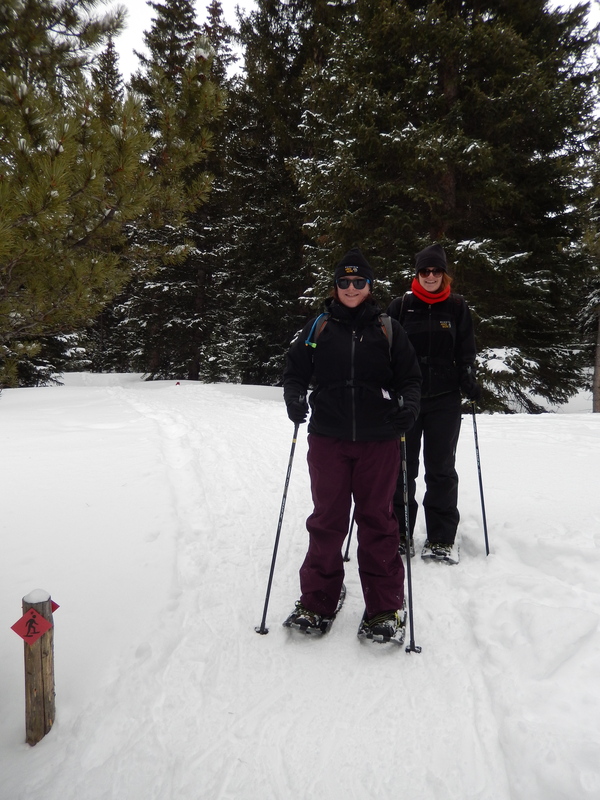 On Sunday we got up early and headed right to the terrain park so that Anne & Lauren could try out snowshoeing, this way we could see how they liked it before we attempted a sunrise hike the next morning. 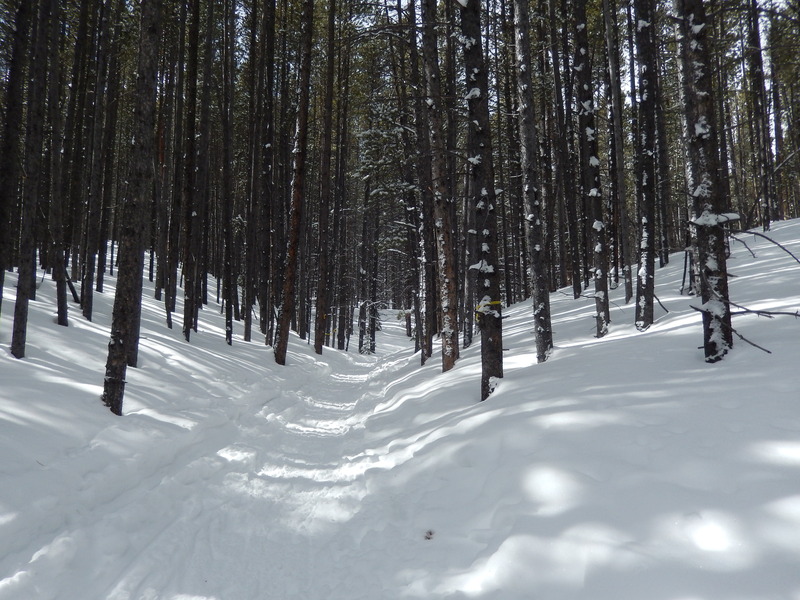 I had read up on the 3 Nordic Centers in and around Breckenridge and decided this one the best one to hit mostly because of all the trail options. I have read that a lot of people didn’t like that it winds around all the mansions on Shock hill but we didn’t see that much of the houses on our trip and what we did see, didn’t bother us. Anne & Lauren all ready to go. The people running the Nordic center might be the nicest people I have ever met, seriously they went through the trail map with me and circled all the places we might see Moose and suggested options for trail changes. 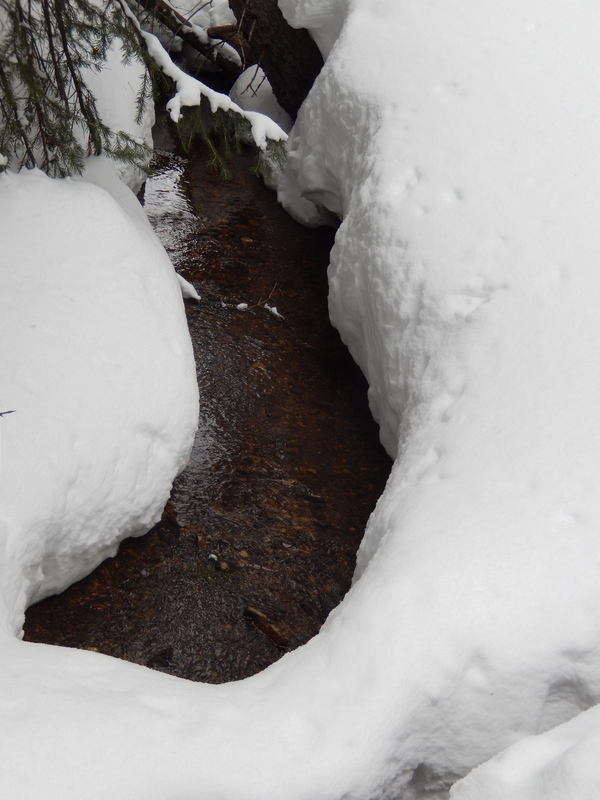 Then when I explained I needed to keep the snowshoes over night to do a sunrise hike/snowshoe but would be returning them early the next day, they only charged me the overnight fee of $5 instead of an additional full day rental. 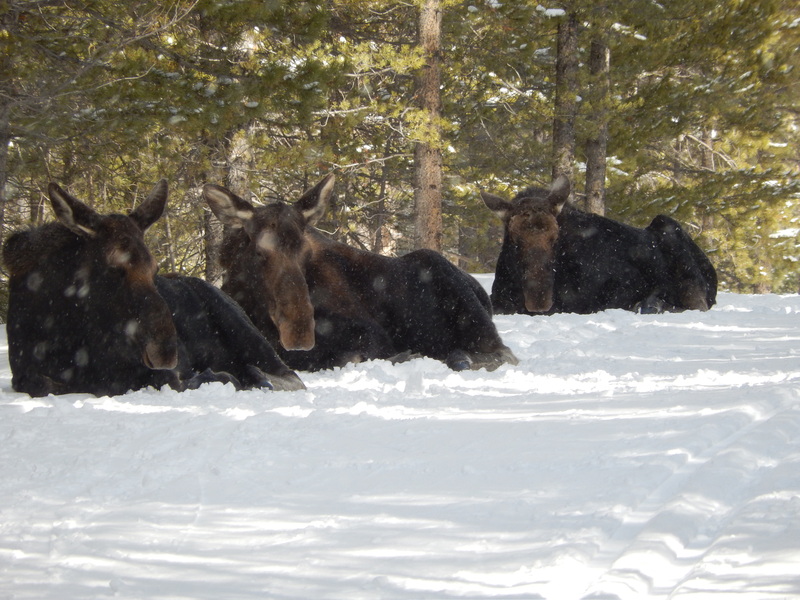 They also gave us tips on dealing with the Moose… did you know that if a moose is standing and looks like it might charge you can just jump behind a tree and it loses you? And as long as there are trees between you and the moose or they are laying down you should be fine!???! This is by no means scientific so always use caution around wild animals because they are WILD, but we found it interesting. 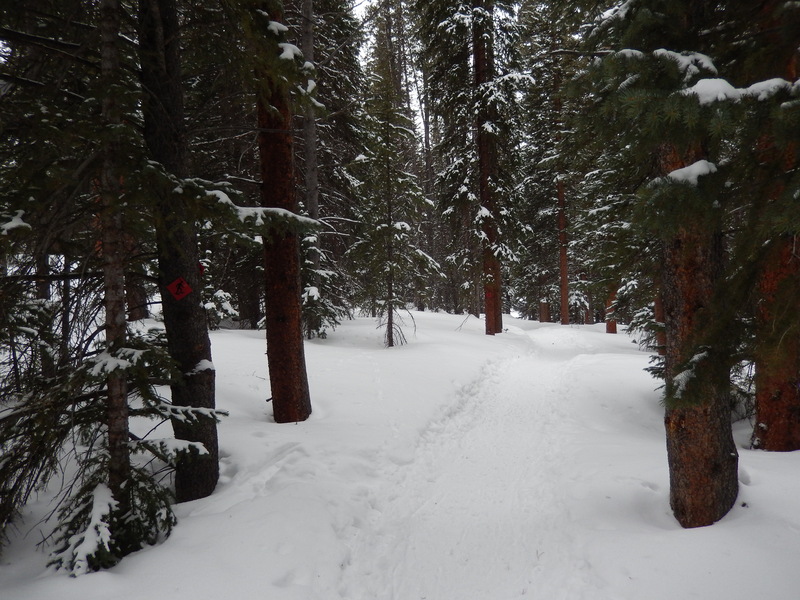 We started out on the Willow path, which was pretty nice and easy to let you get used to the snowshoes . 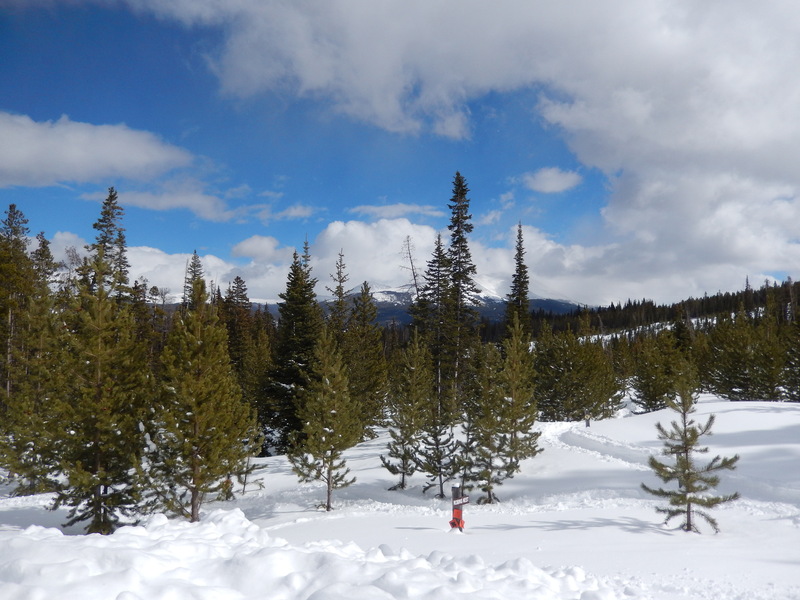 It winds through Shock Hill and the Alpine wet lands behind the Nordic Center. 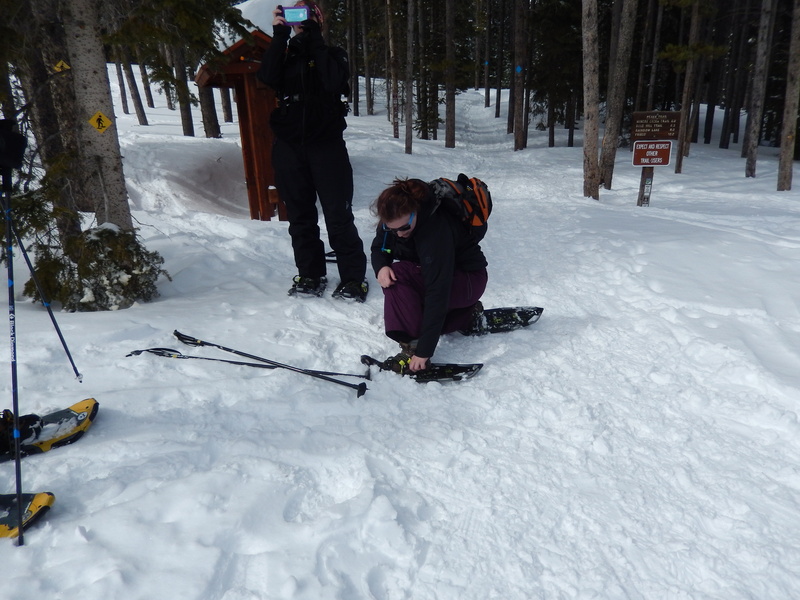 We went under the Gondola going to Peak 8 and then popped out of the trees just north of the Grand Lodge on peak 7. 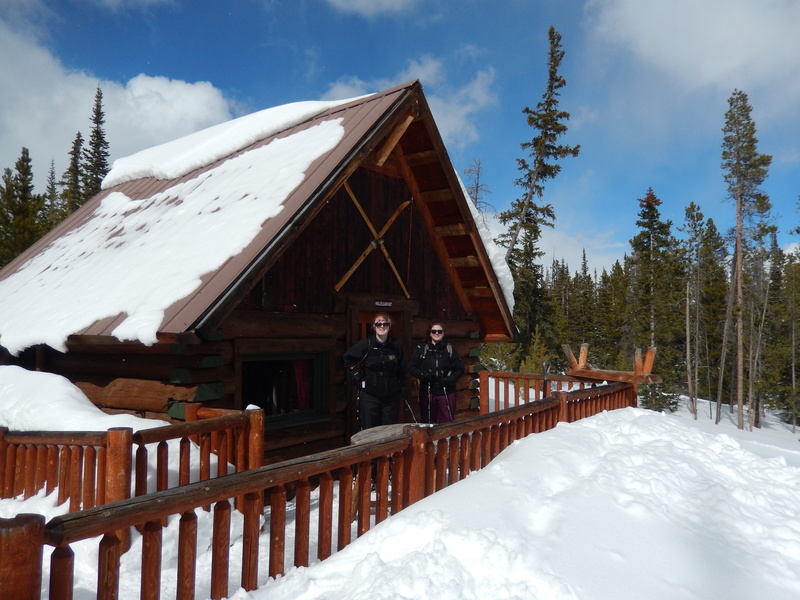 I stay at the Grand Lodge as much as I can so I knew right where the public restrooms were, we took off our snowshoes and took advantage of those restrooms. Up to this point the trail was pretty easy and VERY well-marked, the terrain park did a great job in putting trail markers every where to ensure their guests could find their way around. 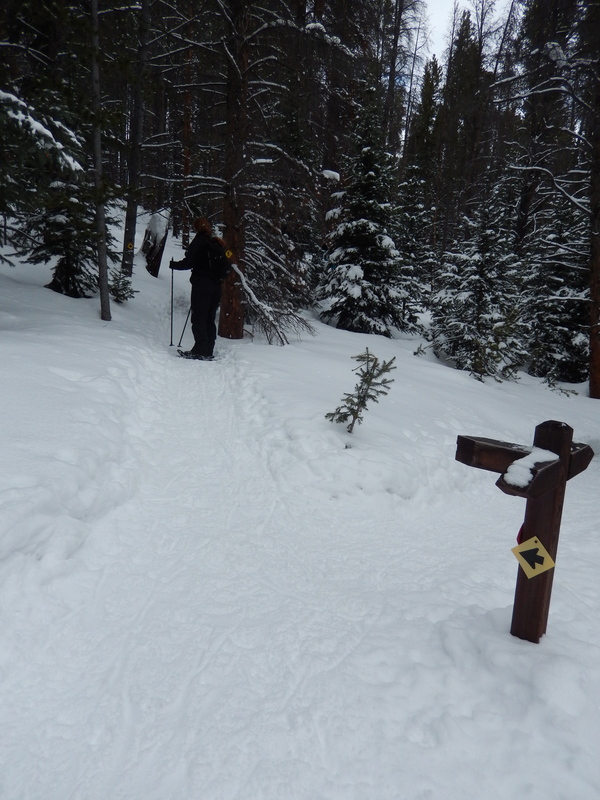 Crossing over the first cross-country skiing path. 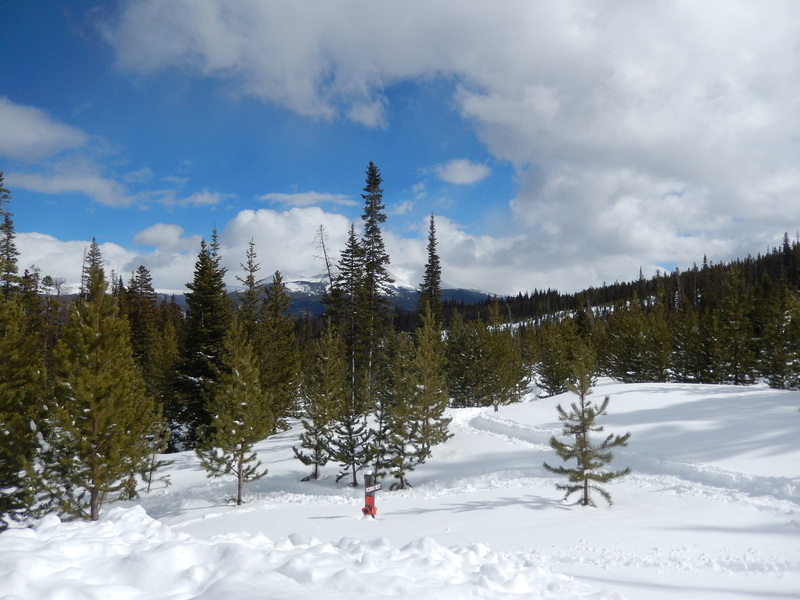 Once we crossed over by the Grand Lodge, the trail got a little harder but it was also almost completely empty. The best part was when the sun came out bright and strong making the day perfect! We climbed the most at this point, through the pines and up along peaks 7 & 6 but outside of the skiing area. As we came to a nice large open area the views were amazing and across the area we could see our turnaround point, Hallelujah Hut. It was a welcome sight as we were all getting a little tired. 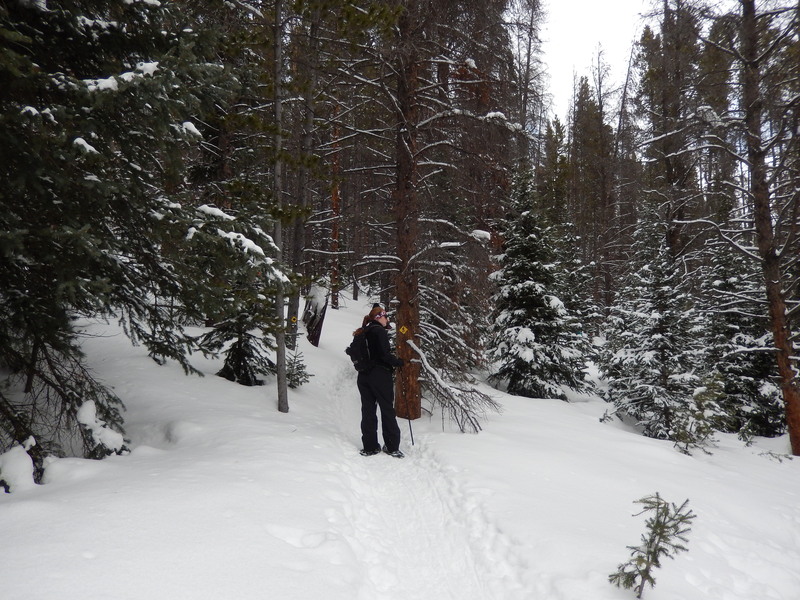 I am starting to learn that snowshoeing requires a little more stamina than hiking does, so each time I am surprised that I am so wiped after what I consider short distances. 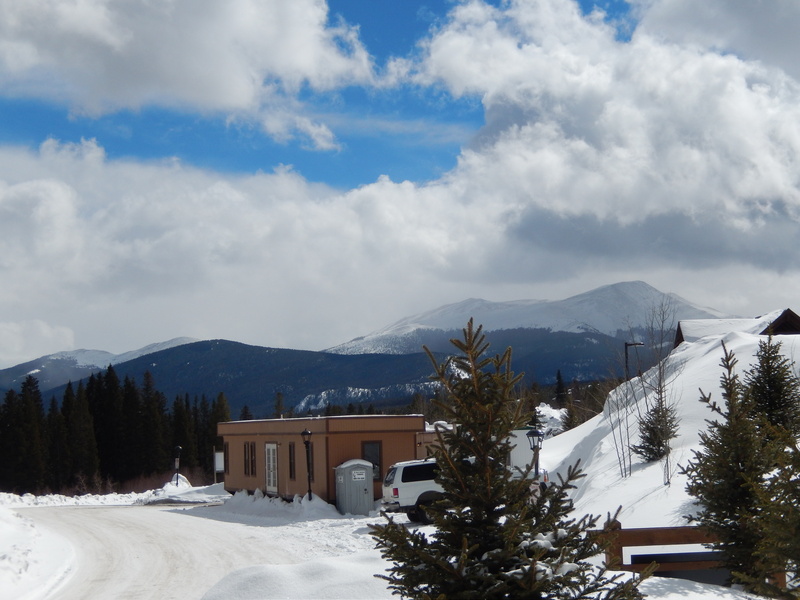 We had a snack at the Hut and then made a quick return trip to the Nordic center. While on the return, I overshot the trail turn back but we were thrilled with my mistake because it led us right to the some Moose just chillin on one of the cross-country ski routes. They had told us the Moose were all over the park that day but we had given up hope we might actually see some. 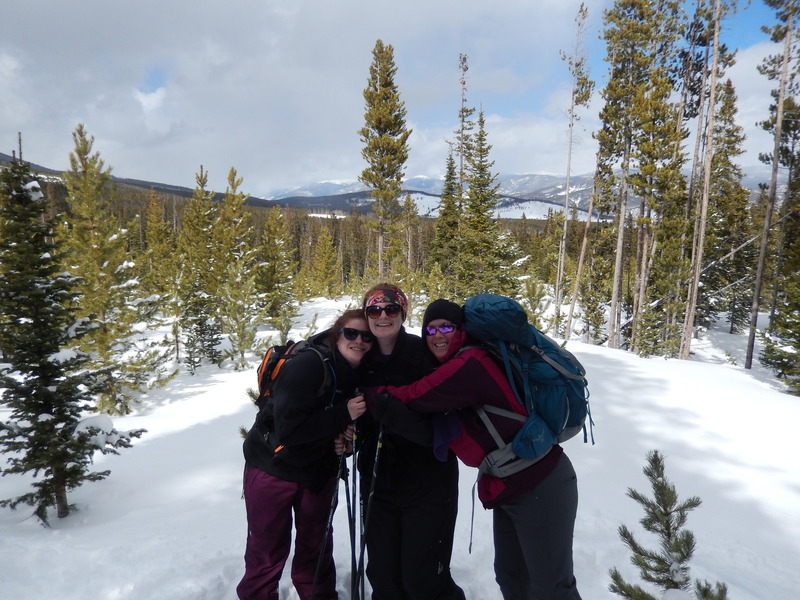 It was the perfect way to end the snowshoe! 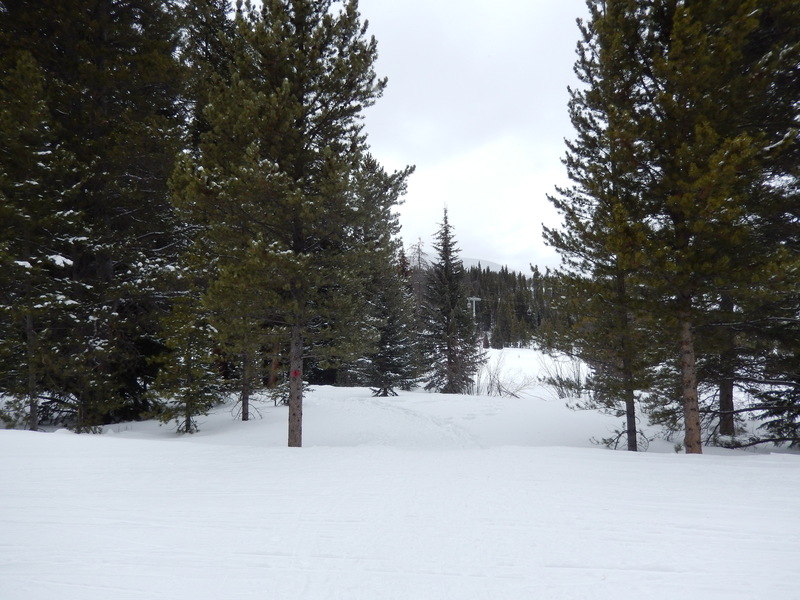 I loved the Terrain Park at the Nordic Center, in fact I plan on going there again as soon as we can. 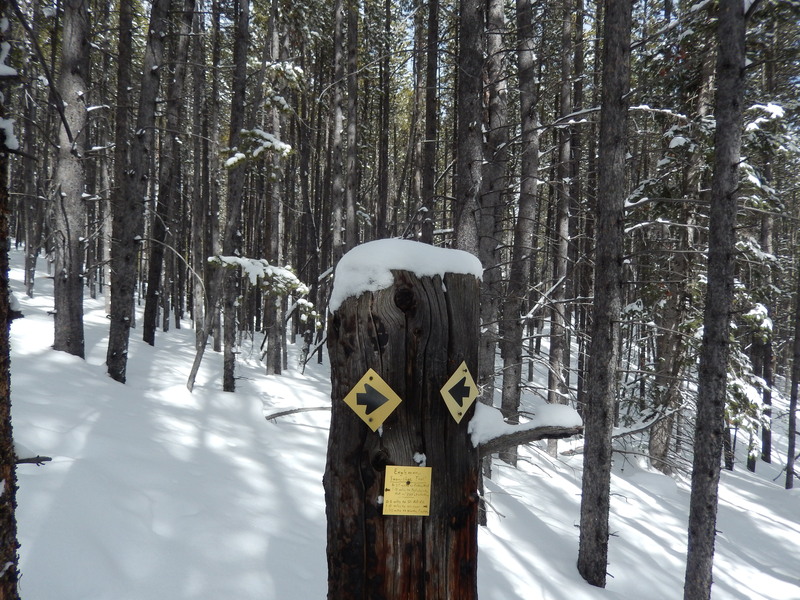 It is a really good way to get used to snowshoes, the trails are well marked and goes through amazing scenery. 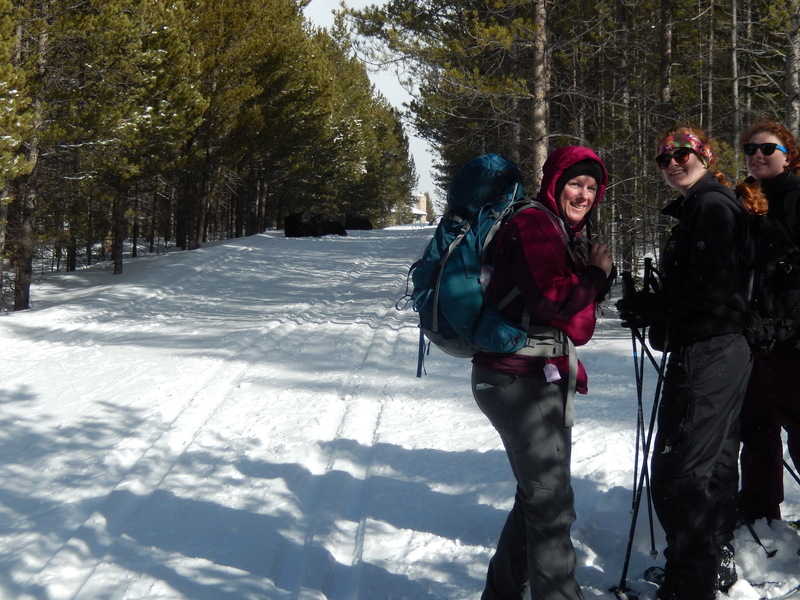 We had a lot of fun on our snowshoe, I think maybe we took on a little more than we should have as we were all wiped at the end of almost 5 hours of snowshoeing. But we laughed a lot and got to see moose! After the directions will be some of our favorite pictures. 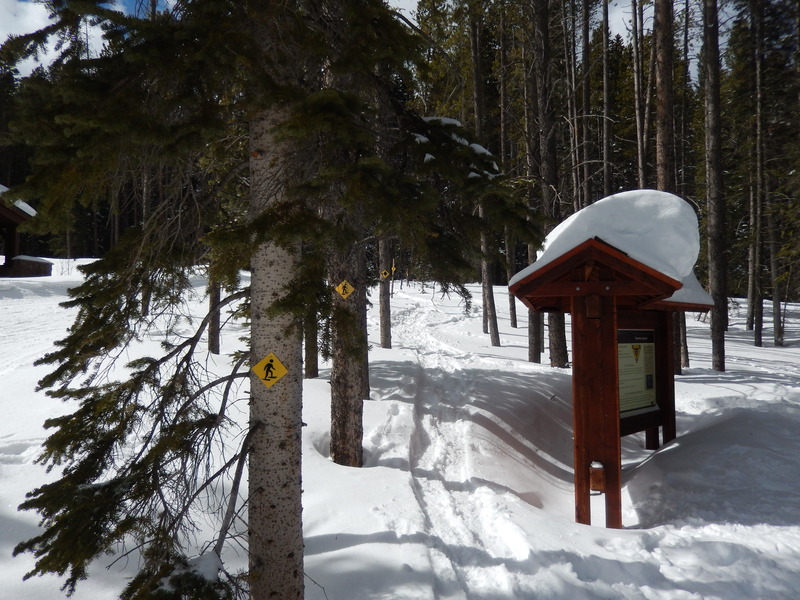 Directions: From Breckenridge Main Street take Ski Hill/Lincoln West up Ski Hill for almost a mile, the NOrdic Center will be on you Left at 1200 Ski Hill Road. Go Past the first Nordic Center sign for the actual parking lot. entrance. Kathy, how totally awesome!!! 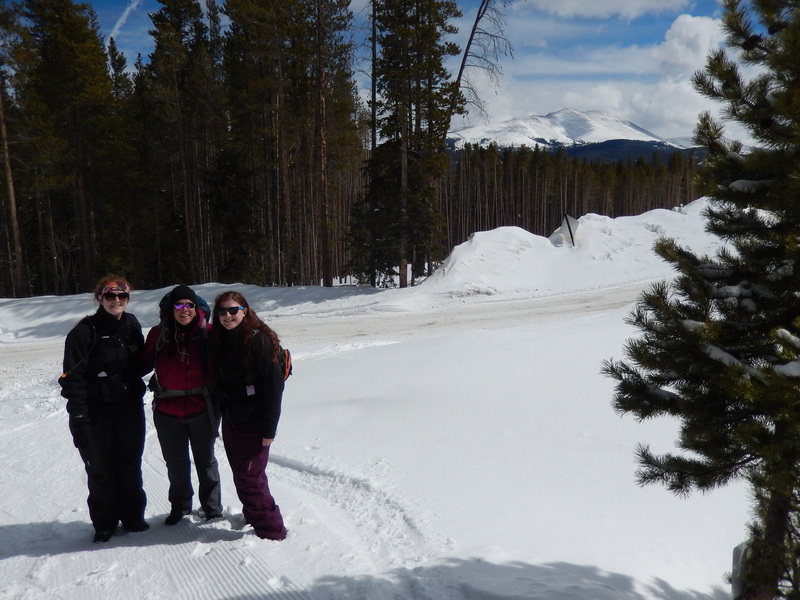 Sharing this experience with your nieces + encountering the moose… FREAKING AMAZING!! It was so much fun Nancy!!! The Moose were a highlight of the whole visit especially since it happened at the end when we were all exhausted and had given up hope of seeing any! Great photos! Good thing you were all wearing sunglasses – snow blindness can take quite awhile to recover from. Thanks! In Colorado with over 300 days of sunshine a year and being a mile closer to the sun, we ALWAYS wear sunglasses even on cloudy days.